What does it mean to have a genuine experience of God? 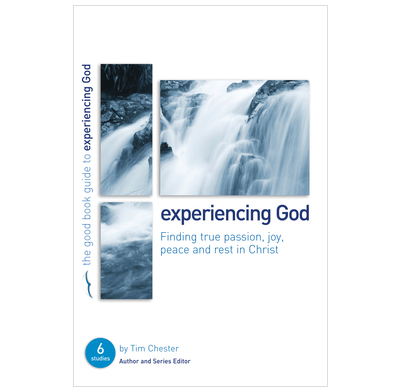 “Have you had an experience of God?” It’s a question that provokes mixed reactions. The word “experience” may set alarm bells ringing for some Christians, as they imagine the word means supernatural encounters, strange visions, voices or other revelations. But the Bible, God’s final, complete revelation, reveals a different, yet no less marvellous experience of God. The wonderful truths of the Gospel, and the indwelling of the Holy Spirit give Christians a unique experience of God, seen and felt in many ways: A love for Christ and for others; peace in place of anxiety and joy in all circumstances; a passion for doing good; and a deep sense of fulfilment and freedom. These studies stem from the conviction that a deeper understanding of God’s gospel leads us to a genuine, life-transforming experience of the living God in Christ, which leaves us hungry to know Him more, and serve Him more faithfully. Work through them yourself, with a friend, your partner or in a Bible-study group to discover the riches that are yours in Christ. We used this study to complement sermon series on the character of God. The studies often used quite odd passages to draw out the themes. The passages used had a lot to teach but weren't completely aligned with the topic. I wouldn't recommend this study which is a shame because most of the studies in this series have been of a consistent standard.